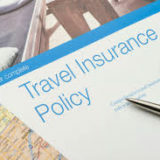 Home » Insurance » Insurer ordered to pay for emergency surgery while travelling. c) further testing could wait until after his travels. Mr. Fletcher had previously been diagnosed with stable angina by his family doctor and cardiologist. The family doctor and cardiologist both felt that his condition was stable, that he was fine to travel to Mexico, and that an angiogram could be postponed until he returned. Mr. Fletcher took the Royal & Sun Alliance Insurance Company to court when it refused to pay, claiming an exclusion clause applied because there was medical evidence that he might be hospitalized while travelling. Mr. Fletcher testified that his doctors told him his angina was stable and he was safe to take a trip to Mexico. The insurance company’s expert physician criticized both Mr. Fletcher and his doctors at trial, saying there was a reasonable expectation that treatment or hospitalization could be required while travelling. The insurance company was ordered to indemnify Mr. Fletcher for $180,000 US.